Eventwise's Vicky Hartley is among two staff made redundant as part of another Concerto Group restructure, which is designed to make the company more financially robust. Hartley, who was managing director of products, and Kerene Mavel, event manager for sister company Business Pursuits Event Management, were made redundant earlier this month. Hartley's role has been absorbed by new posts created in the restructure. 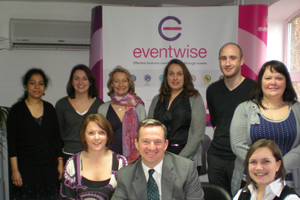 Former Business Pursuits Event Management deputy managing director Joanne Bates has moved into the new role of Eventwise sales director, and Guy Hodgson has been appointed head of event production. Eventwise managing director services Peter Jackson's job title has changed to client services director as part of the restructure. Business Pursuits has dropped the ‘Event Management' part of its name and is now trading solely as a kit and activity supplier to Eventwise, which has shifted its focus to conference and incentive event production, and away from event management. Eventwise managing director Mike Kershaw said the reshuffle had put the Concerto Group in a financially stronger position. "We have reduced the overheads significantly across Eventwise and Business Pursuits and next year has the potential to be very profitable," said Kershaw. "We are now in great shape but it's been a painful process to get here."